School leaders: Every time we enter a classroom, we don’t have to sit down and commence with a ten minute formal walkthrough. 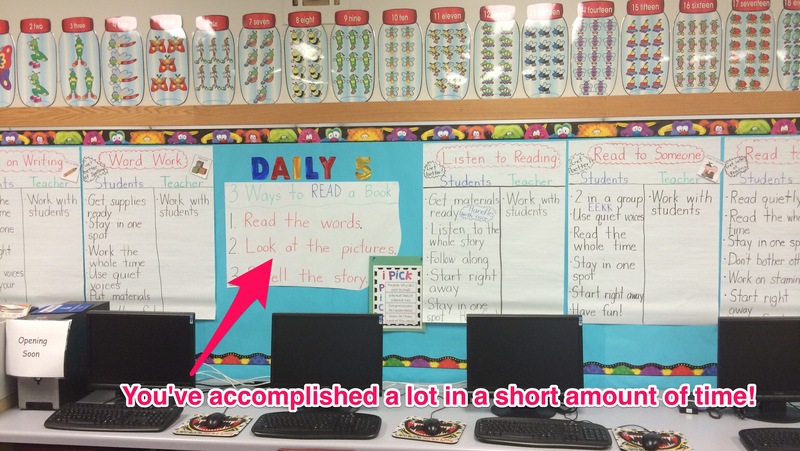 Instead, consider using a photo app such as Skitch to take a picture of best practice. I like Skitch because I can annotate the image with feedback, email it to the teacher, and save it to their digital portfolio in Evernote. This opportunity to celebrate what they do so well can take place in less than five minutes. 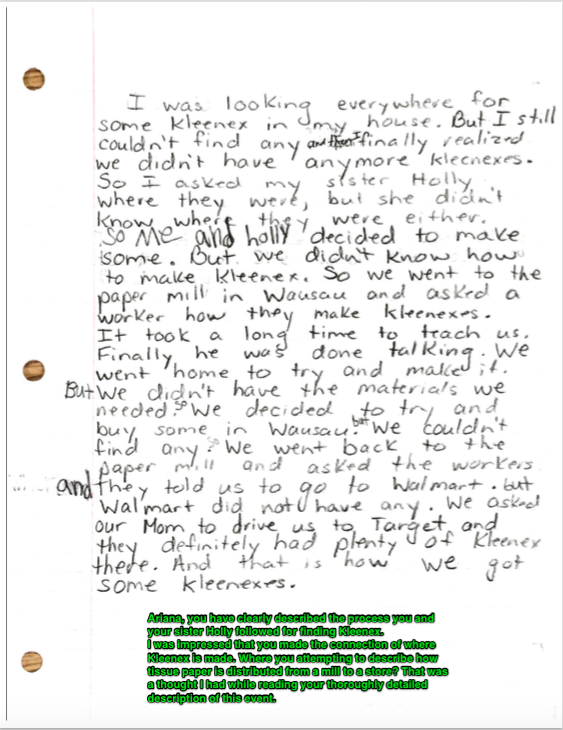 I share the teachers’ notebooks with them, giving he or she access to these artifacts stored within Evernote. Later, they can put artifacts of their own in this notebook, as well as pull pieces out to upload to their teacher evaluation platform. To organize the notes, use the tagging system to categorize artifacts based on elements from teaching frameworks, such as Charlotte Danielson’s. If your stretched for time (and is there any school leader who is not? ), when appropriate consider using a mobile device, Skitch, and Evernote to capture, advance, and celebrate learning. 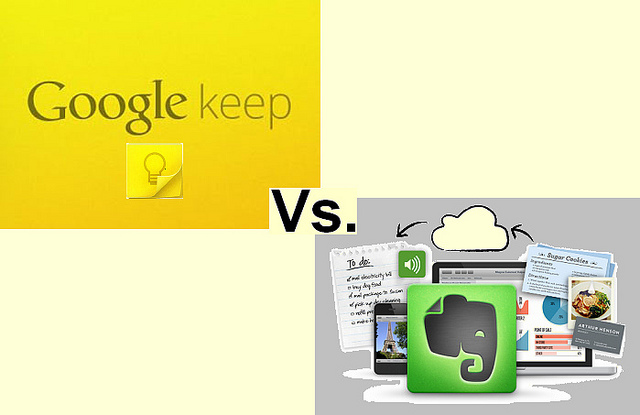 Google or Evernote: Which Tool Do You Prefer for Capturing Student Learning? I have three reading interventionists in my building. 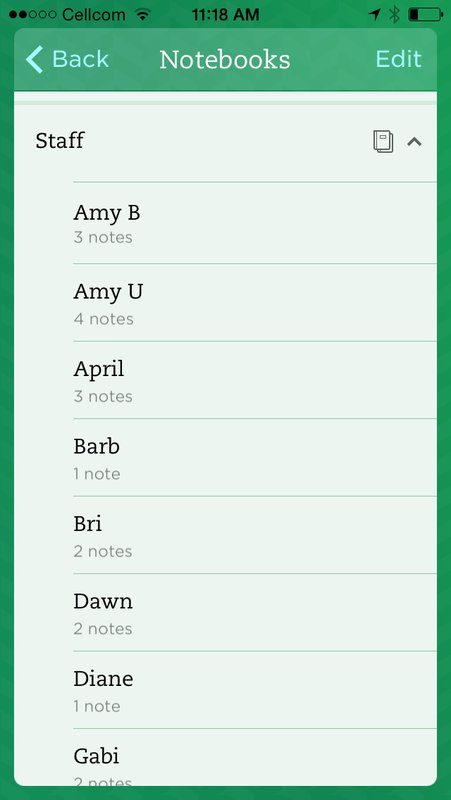 One of them started using Evernote with her iPad this year. Her goal was to capture her students’ learning both with audio and images. She had a couple of challenging learners, and was looking to help them identify their own progress through self-assessment. She had her students listen to themselves read after recording them. This teacher also shared her students’ notebooks with our district’s lead interventionist via Evernote as an accountability piece. 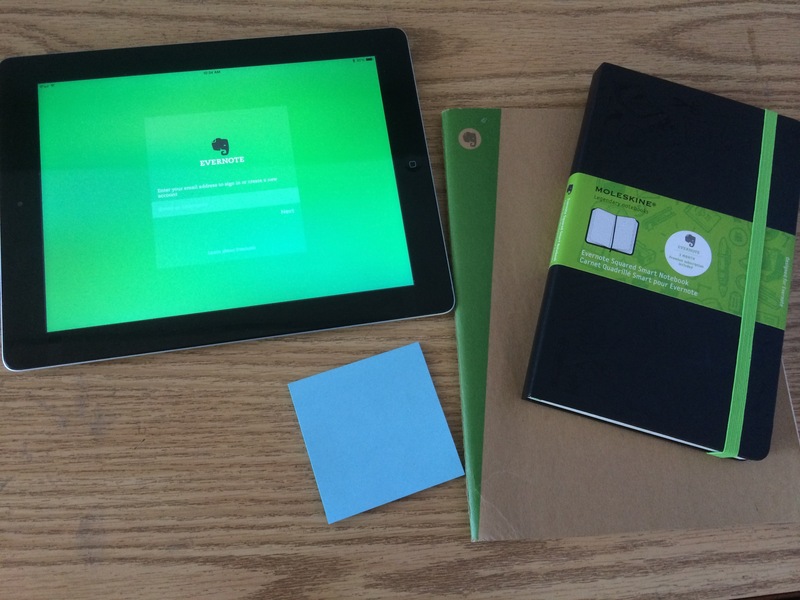 She used Evernote because, I believe, that is what our building is using. Several training sessions were provided for all staff on this tool. When she shared a note with another teacher, everyone was using the same tool. I share this because when thinking about a digital tool to capture student learning, I believe it is important that the collaborators are at least familiar with the medium. However, we also have to use the tool that works for us, especially when trying to document learning in the middle of instruction. I like Google; don’t get me wrong. 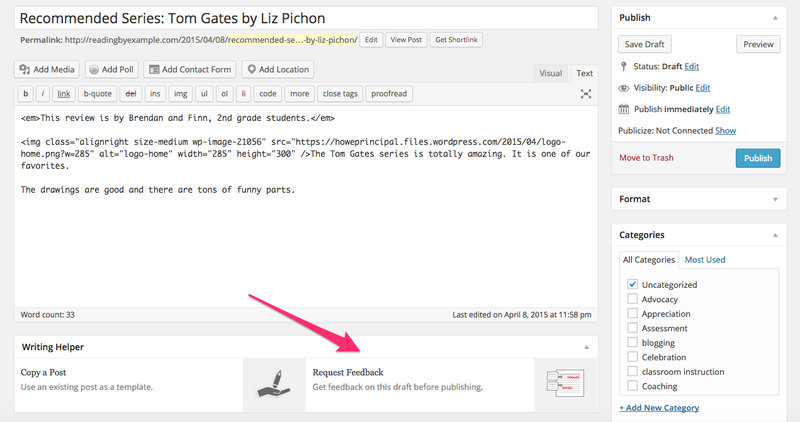 It is such powerful technology for professional collaboration and documentation. Our whole staff uses Google Drive for meeting minutes and for our digital data wall. Many of the 4th and 5th graders also using Google for writing and presentations. But I think the efficiencies only go so far with Google. Great for storage, creation and collaboration, but does it provide a way for teachers to methodically go back through student artifacts and find themes and patterns? 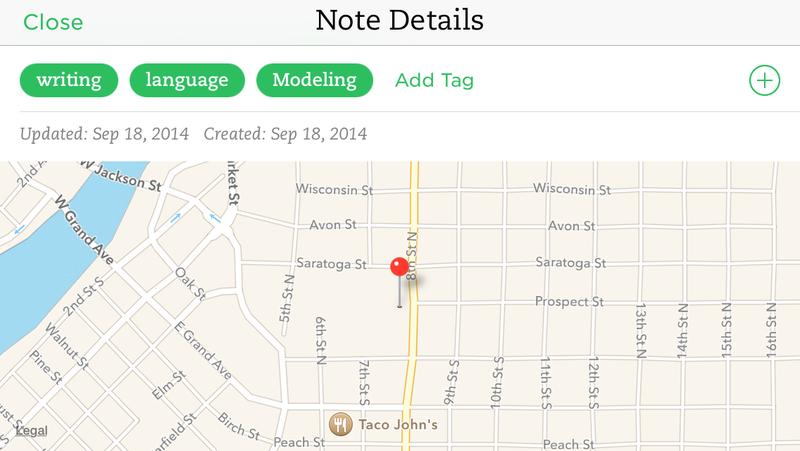 Evernote does, because of it’s ability to tag notes and to put several related artifacts within one note. I felt like our digital portfolios were really helpful with students assessing their own work, and parents seeing their work throughout the year, but what about staff being able to use these artifacts for their own learning? To sum up, whatever tool we use to collect, organize, analyze, and reflect on student learning has to be meaningful and essential for all those involved in the process. This includes teachers. Our goal as reflective practitioners is to become better at our profession. It happens when we become students of our own instruction. 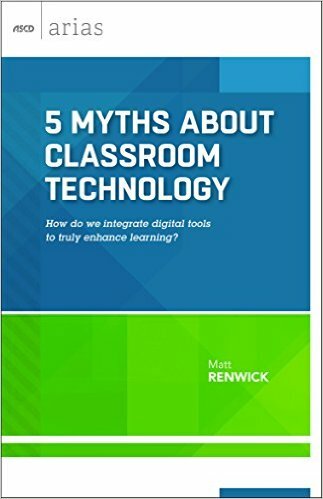 Author Matt RenwickPosted on June 16, 2014 June 16, 2014 Categories Assessment, Integration, Learning, Reflection, Teaching, TechnologyTags digital student portfolios, Evernote, GoogleLeave a comment on Google or Evernote: Which Tool Do You Prefer for Capturing Student Learning?